India is likely to test launch a newly-developed surface-to-air missile developed jointly with Israel from a defence base off Odisha coast tomorrow. “Preparation for the maiden test has reached final stage and if weather permits it will be conducted from the Integerated Test Range (ITR) tomorrow,” said an official of the ITR at Chandipur, about 15 km from here. The missile is a product of joint venture between India and Israel, DRDO sources said. 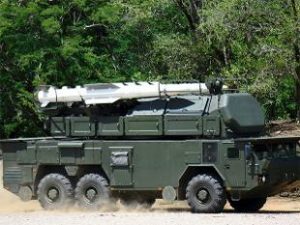 Apart from the missile, the system includes a multi- functional surveillance and threat alert radar (MF STAR) for detection, tracking and guidance of the missile. The test-firing of the missile would be jointly carried out by Indian defence personnel, DRDO and Israel Aerospace Industries, they said. As a precautionary measure, Balasore district administration, in consultation with defence officials here, have made adequate arrangements to temporarily shift 3652 civilians residing within 2.5 km radius of the launch pad No 3 of the ITR during trial time, officials said.